My kick-off to 2018 has been healthier breakfasts. My breakfasts choices aren’t terrible at this point but there is room for improvement especially on few days here and there that I decide to skip it all together and we all know that it’s not good to skip breakfast. So I’m working on that habit. And smoothies are the way to kick it to the curb. You can never run out of smoothie options, right? I don’t think so anyway. The possibilities are limitless! 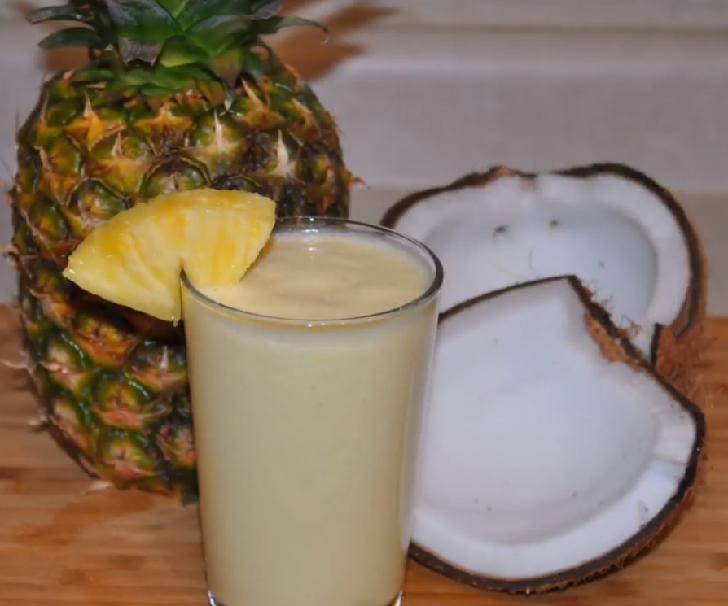 Pineapple Coconut Smoothie – Fresh and tasty mix of pineapple, coconut milk, and yogurt. So simple. Perfect for breakfast or an energizing afternoon snack. ⏩Place all ingredients in a blender and blend on high until a quite creamy mixture, about 45 seconds. Pour the milkshake into individual glasses and serve preferably cold. Coconuts: Organic coconuts are packed with healthy fats. They are also great for skin and hair health because of their high levels of the antioxidant vitamin E.
Pineapple: Pineapple is an incredibly potent super fruit. It helps the body stay in an alkaline state. Besides its alkaline benefits, it has also shown anti-inflammatory and anti-cancer properties. A study we reported on in April of last year showed that pineapple extract may kill cancer cells.